I wanted to paint a piano since I was 9 years old. 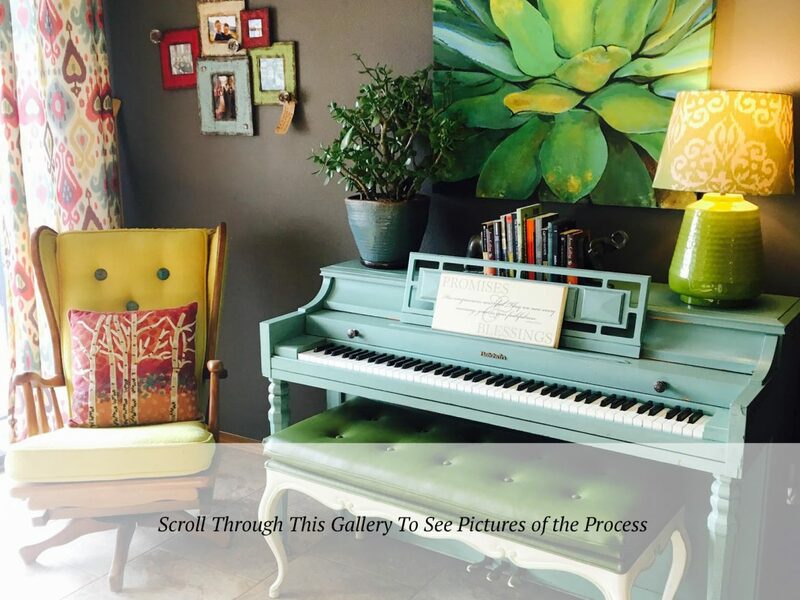 I remember sitting at a wooden piano and wondering why people felt inspired to paint cars, boats, guitars, bowls… basically every other inanimate object in beautiful colors… but not pianos. Now… don’t get me wrong. I love a beautiful wooden piano. I have great respect for a shiny black Steinway . 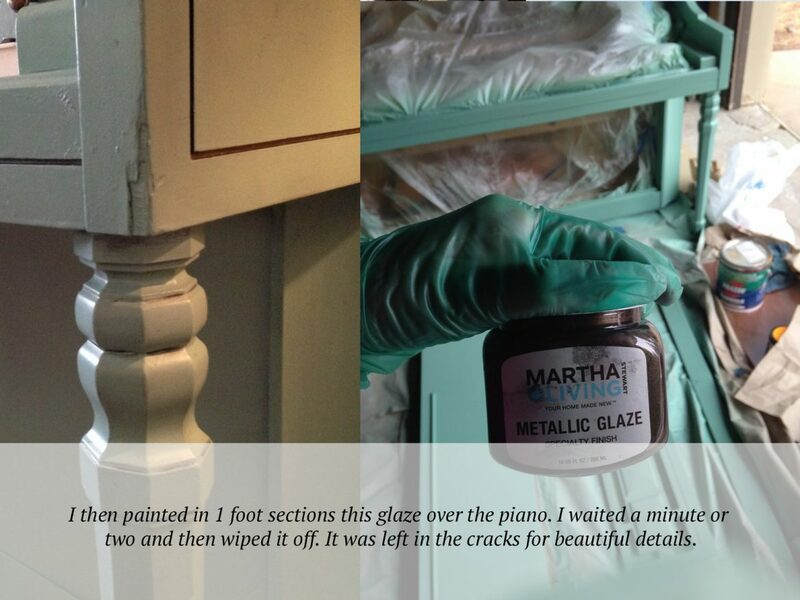 But I always had this weird itch to paint a piano in some crazy unexpected color. And I pegged it as a project in the back of my mind for adulthood. The first piano, however, that presented itself to me in my adult life, lived in my home but was not mine. You see my pastors wife had an old piano that she was reserving for the “next grandchild who learned to play well”… and she allowed me to foster it while she waited. 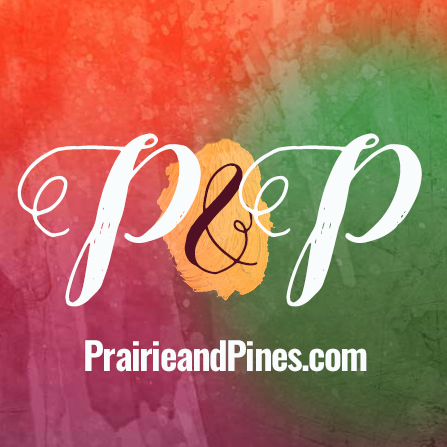 I had already loved it for 10 years when one day her Grandson came to dinner with his new beautiful and musically talented wife. She sat down at the piano, ran her hands across the keys and said wistfully “John, wouldn’t it be nice to have a piano this size for our apartment?”. She had no idea it was a family heirloom that she probably already should have had in her possession. My heart sank… I loved that piano. But I knew I had to tell her that she had rights to it. I know it’ll probably sound crazy or superstitious but in that moment I heard a voice telling me “I’ll give you another one, let go”. 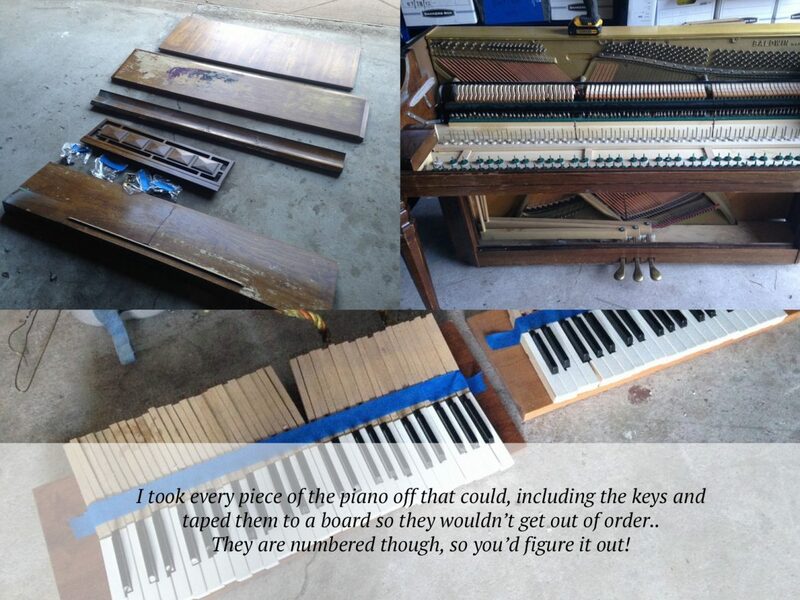 Two days later, the piano was being wheeled out of my house. Later that afternoon when I went to pick my son up from the babysitter, I quickly checked Craigslist in case a piano had come up. There was only one, and it had been up for a month. I called the number and the man lived a block from where I was sitting. It was $300 and in seriously rough shape. And all of a sudden the desire to paint a piano was resurrected. I usually didn’t do Craigslist transactions alone, but I called Wes and he stayed on the phone while I ran over to the listing. Turns out it was a nurse who had inherited the piano from the mental health department of the hospital. It had been the piano that graced the living room of the psych ward, and people being treated would play it. 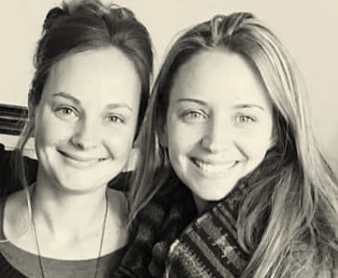 One of them had been doing tie dye and left dye-soaked shirt on the lid. The piano was covered in purple and pink spots. It looked horrible. The nurse’s wife said she felt spooked by the piano’s past and didn’t want it in her house. I must admit… I did think about it. But when I lifted the lid and started playing I wanted to cry. It had beautiful sound! And I thought about how music can bring such joy and peace in times of suffering and wondered if it had encouraged and uplifted many a troubled soul in the years it spent at the hospital. This is where it gets a bit interesting. I went to counter offer the owner when he piped up “actually Sarah… are you the photographer?”. I said yes. He said his wife had been wanting me to take their photo and asked if we could exchange a family portrait for the piano. In my eyes, this was a completely miraculous transaction and I felt like I certainly was supposed to have it. The piano came home… I looked up “how to paint a piano“. I contemplated reds, golds, cream colors. 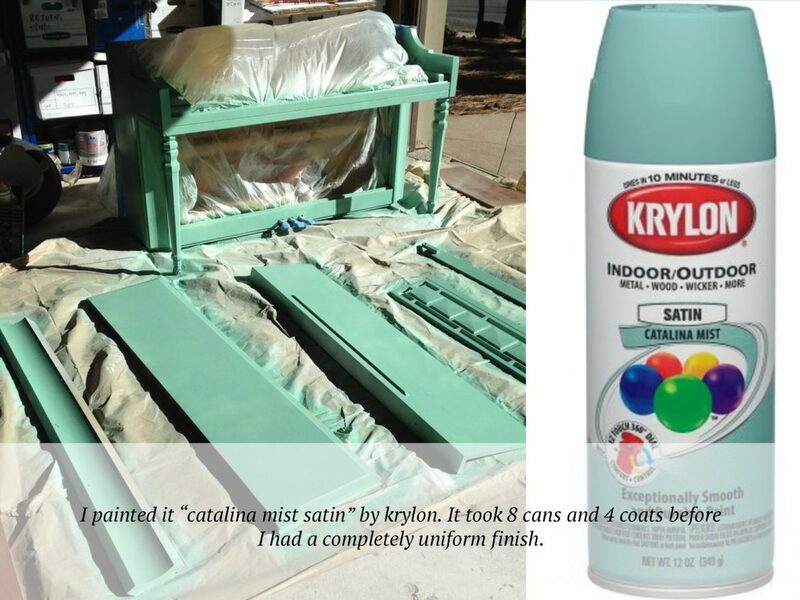 But my friend Neta said “your house shouts turquoise… be brave!”. 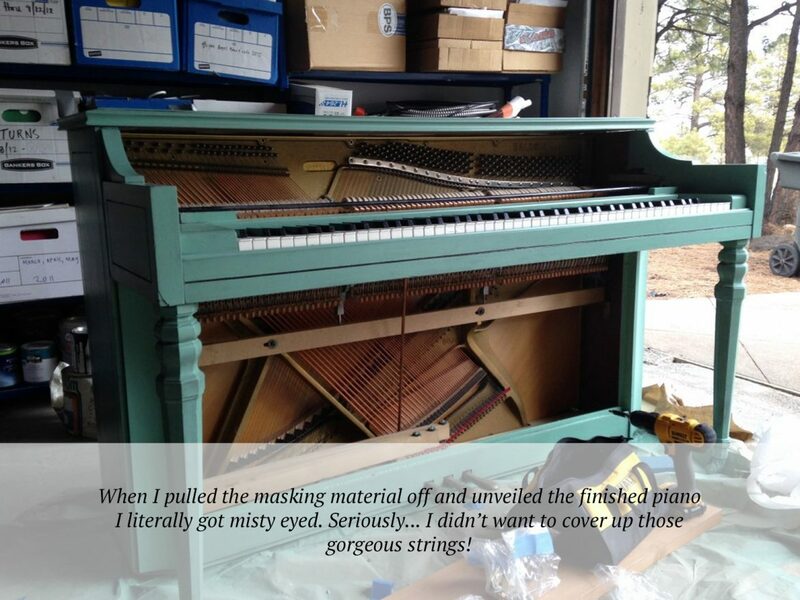 And thus… the turquoise piano was born. I really wanted to do it right so I deviated form my usual slap-happy practices and actually took the thing completely apart (see the gallery above), primed and painted about 4 or 5 full coats of paint.The finish was worth it. I wish I had sanded it down a little bit more to start because the paint is chipping more than I would have liked it to after 3 years of use. (our piano gets played by my daughter and I almost every day). 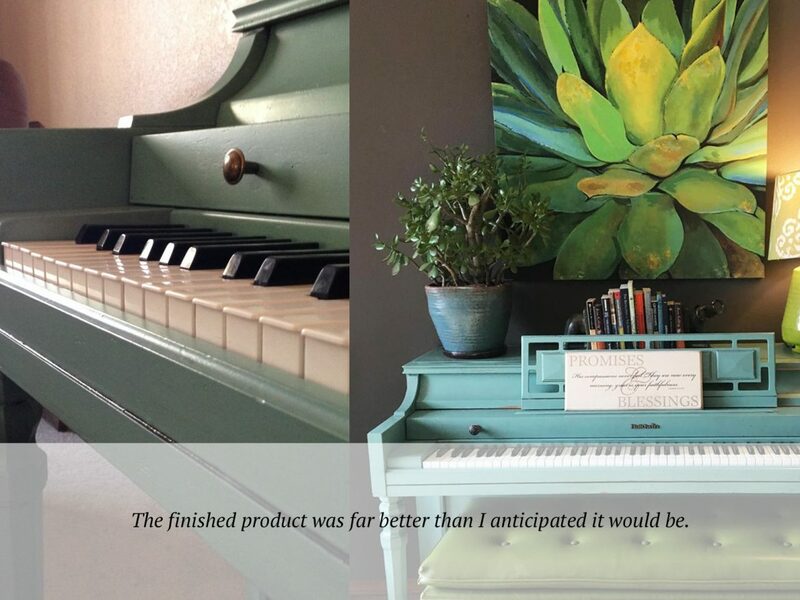 Anyway… to finish this post off, I’ll say that the piano is so pretty, that some of my friends have gotten brave and painted theirs too. Every piano that gets painted feels like the birth of a child now, and I visit them like I would a new member of the family. A month or two ago, a local hotel sold off all it’s antique furniture and this bench was up for grabs for $20. I knew it was the perfect finishing touch. It’s now the most eclectic corner of my house! 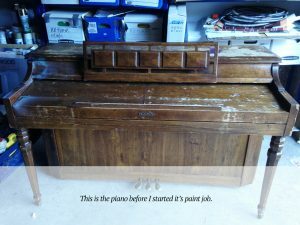 A note of caution to those of you attempting this task… I would be very hesitant to paint a piano that is NOT in disrepair. 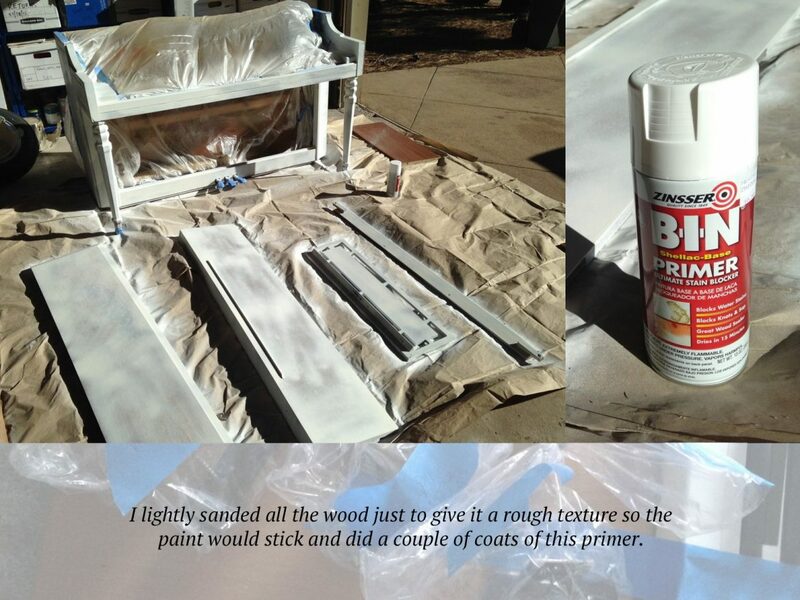 It is a long, tedious task and I would not paint over wood that’s in good shape. I also wouldn’t put the time into a piano that can’t be tuned, or played or has some detrimental flaw like a cracked sound board. 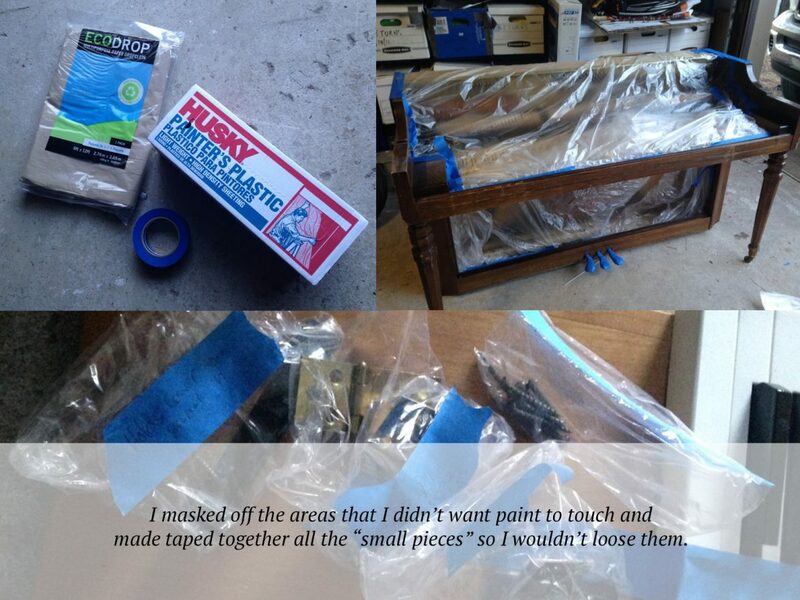 Get some advice before going through with this process as it’s not an easy piece of furniture to experiment with. Since some of you have asked, the artwork on the wall is World Market, the pillow is Pier One, the plant is a real jade plant from a local nursery, and the lamp is World Market. The grey on the wall is Sherwin Williams Gauntlet Gray.